Well it seems that my top 10 favourite couple post surprisingly became my most popular post. So having done that it's been a while since I've done another top 10 list and what other list than to compile a list of my top ten favourite female anime characters. This list is based on my favourite female anime characters. It's not a list of who I think are the best of the best females in the anime world, just a list of female characters I remember vividly or like a lot. I'll try my best to explain why some of these characters are my favourite since a couple of them have meaning behind them. The rest of the characters who don't have meaning behind them I probably like because of their personality/designs. Anyways please enjoy! 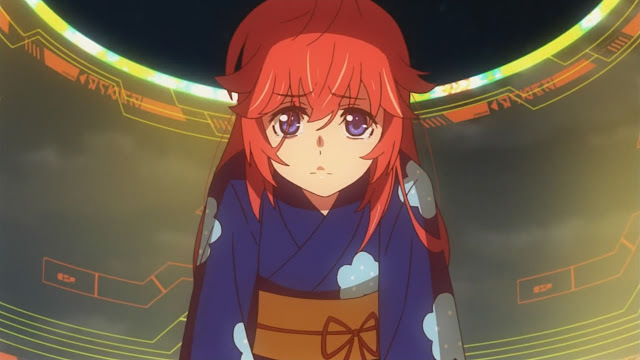 Opening the list is Ichika Takatsuki from Ano Natsu de Matteru. I've always had a small obsession with photography and film so when I saw that Ano Natsu de Matteru was based on a love story about an alien and a amateur film maker I was instantly drawn in haha. Not the best romance anime out there but it's worth a watch and happens to be one of my favourites. Nothing too special about Ichika other than I really liked the love story between her and Kaito. 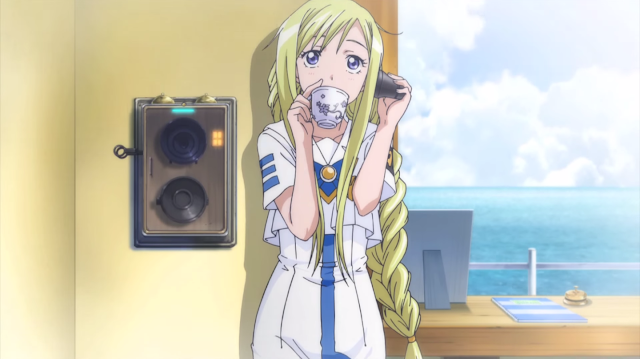 Plus I liked her character design coupled with that adorable Rinon! Next up is Elsie of the Kami nomi zo Shiru Sekai franchise! Often looked down upon in terms of her evil spirits capturing skills, she hones her skills by joining forces with Keima. Her bubbly personality and upbeat front makes her one of my favourites. Even when she gets passive aggressive comments by her colleges she still seems to put a smile on her face and unknowingly outperforms her fellow spirit hunters as the anime continues in terms of the quantity of sprits she has captured with Keima. Her positivity, personality and humour makes her one of my favourites. Does this lady need any introductions? Kurisu Makisa, also known as: Chrisssstinnaaaaaaa, assistant, American Virgin, and a few other odd names, thanks to Okabe, needs a mention in this list. 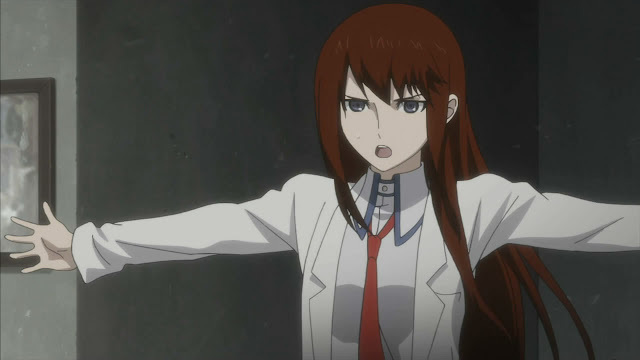 Nothing too special about her other than I liked her design and ability to trust Okabe during Steins;Gate, if you've seen the anime you would know what I'm talking about. If you told me you were from the future I would think you were crazy but Kurisu seemed to believe Okabe when he said those words to her over and over again. It's thanks to her that Okabe still has the sanity chip still in him. Yay for Kurisu. Setsuko Koike, not many people know about her since she's a supporting character and because most people have not seen Rainbow: Nisha Rokubou no Shinshinin. Each episode of this anime had my eyeballs wide open and I paid attention to every minute. With a dark anime about six juvenile delinquents in a prison-like reform school being tortured by prison guards everyday how could you not have you eyes wide open and binge watch? 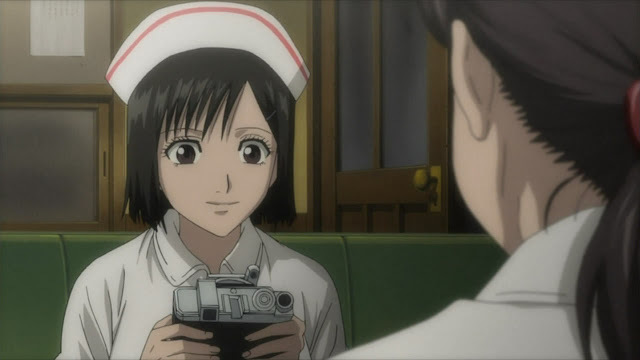 When things got rough I was so glad to see someone like Setsuko (who's a nurse) appear and was able to help the main characters. She went above and beyond what she was required to do, and as a result she put herself in danger at the hands of the prison system for helping more than she was suppose to. She's still buried in the back of my mind due to the great deeds she did for the kids she helped out of just pure kindness and what's right. Girls that are labeled as a "tsundere" are typically not my cup of tea. 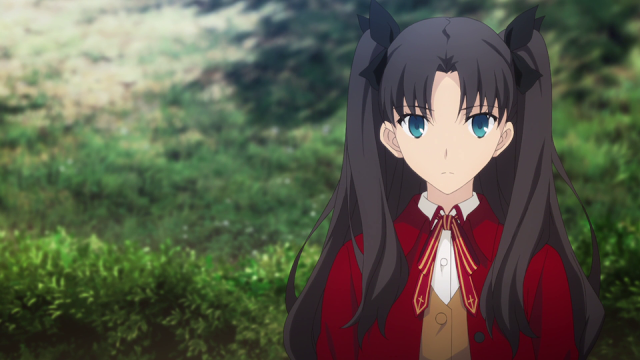 However Rin was one of the few that won me over. Her drive to achieve anything she wants goes beyond what more people expect from her (yes I'm talking about you Archer). She's able to execute almost anything she desires while at the same time being realistic about things, which thank god for her and her attempts to knock some sense into Shirou from time to time. Best tsundere. あらあら、 あらあら、 あらあら、 あらあら、 あらあら、 あらあら、 あらあら、 あらあら、 あらあら、 あらあら、 あらあら、 あらあら、 あらあら、 あらあら、 あらあら、 あらあら、 あらあら、 あらあら、 あらあら、 あらあら、 あらあら、 あらあら、 あらあら、 あらあら！ Which translate to "ara ara!" Do I need to say anymore? Best prima. Best troll. Best gondelier. Needless to say I am extremely excited for the three part special of Aria the Avvenire. I know a lot of people are going to disagree with me when I say this but I think the best game-based anime has to be Accel World. Purely because of Kuroyukihime. First anime I have ever seen where the main character, Haruyuki, is overweight. 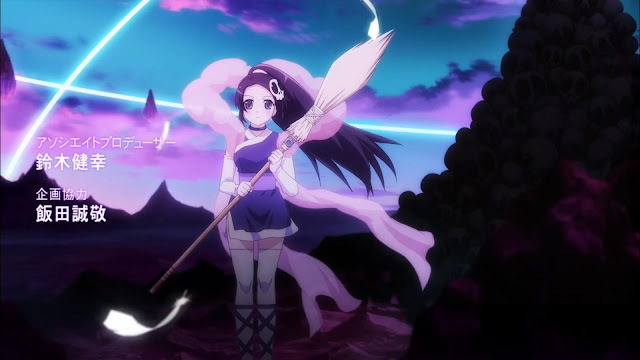 Kuroyukihime is one of the few who stood up against people when they bullied Haruyuki, and also protected him from any harm that came his way. 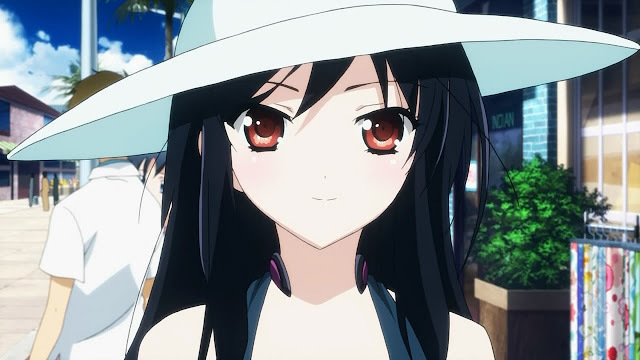 Love how she's able to judge someone based on the intereior rather than the exterior throughout Accel World. She's known as the Black Lotus in the accelerated world and is one of the few level 9s attempting to get to level 10 in the game. Her character design in the real world is quite standard but her Black Lotus form in the accelerated world is stupendous! Good for you Kuroyukihime for protecting Haruyuki and standing up to bullies, she earns major points in my book for that. Making it into the top three is Kazusa Touma. Watching White Album 2 surpassed my expectations of this anime by a long shot. The first 75% of the anime was simply boring and I was confused as to why there were so many raving reviews about this anime. By the time I finished the remaining 25% I was shocked at how great it was. Kazusa represents all of us and how we all have that "one who got away." 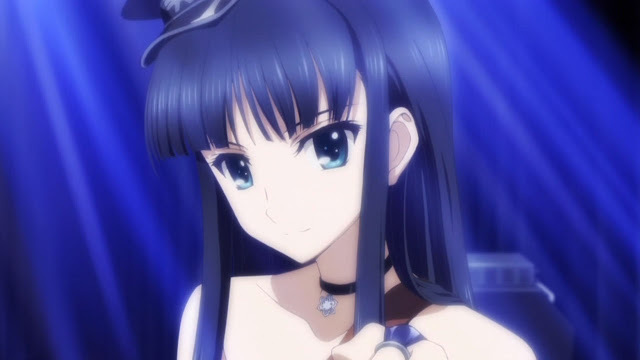 The story of White Album 2 mirrors everyone's love timeline and Kazusa's storyline shows us that we've all been in her shoes in terms of love drama. Sorry if this is a bad and vague explanation lol. 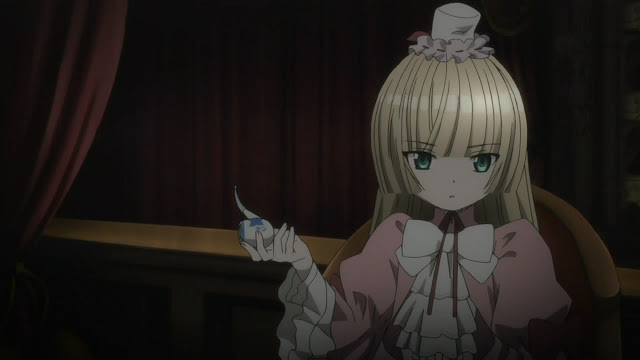 Runner up for my favourite female anime character is Victorique from Gosick. There's nothing like a good mystery. The only mystery I have every seen other that Gosick was Hyouka, and you cannot compare petite school life mysteries against the mysteries being solved by this amazing lady. I remember watching Gosick and thinking to myself, "wow this is the first pure mystery anime I've every seen." On top of that what made Gosick even better was Victorique and her talent at solving these riveting brain stumpers. I was impressed by her intellect and the way she carried herself while at the same time showing off a delectable side to her, it made me feel like I was solving the mysteries with her while I was watching! And finally the best girl goes to Himari Takakura! What's it like to live with a incurable disease that you eventually die from and suddenly revive from the dead one day? I don't know. But Himari does. Her story of living against the odds and her sombre backstory is one that someone can either learn from or one can relate to. On top of that what is it like to have two brothers fight for you and do whatever it takes to keep you alive doing so but take polar opposite approaches? 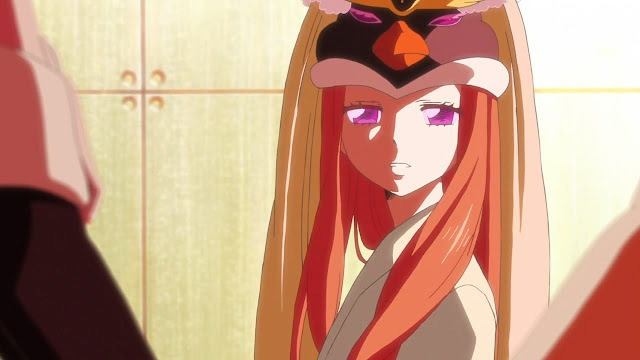 Watch Mawaru Penguindrum and you'll learn. She was born into tragedy but somehow finds light and positively in everything even though she knows she's literally against the odds. Her story will forever remain in my mind and that's why she's my top choice for favourite female anime character. Thanks for browsing trough this list! So who are your favourite anime girls? Tell me in the comment section below. I'm probably going to make a top 10 favourite male anime characters as well. So look out for that. Thanks again!